Completing an eight-day test flight around the moon to verify technologies for a planned lunar sample return mission, an unpiloted Chinese space capsule re-entered Earth’s atmosphere at blazing speed Friday and parachuted to a successful landing. 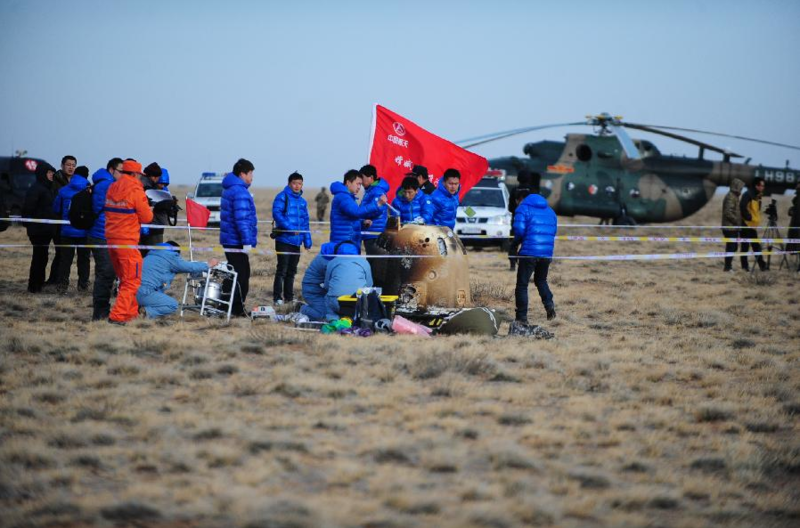 Images released by China’s official state-run Xinhua news agency showed recovery crews swarming the landing capsule after it touched down at 2242 GMT (6:42 p.m. EDT) Friday in the China’s remote northern region of Inner Mongolia about 300 miles from Beijing. 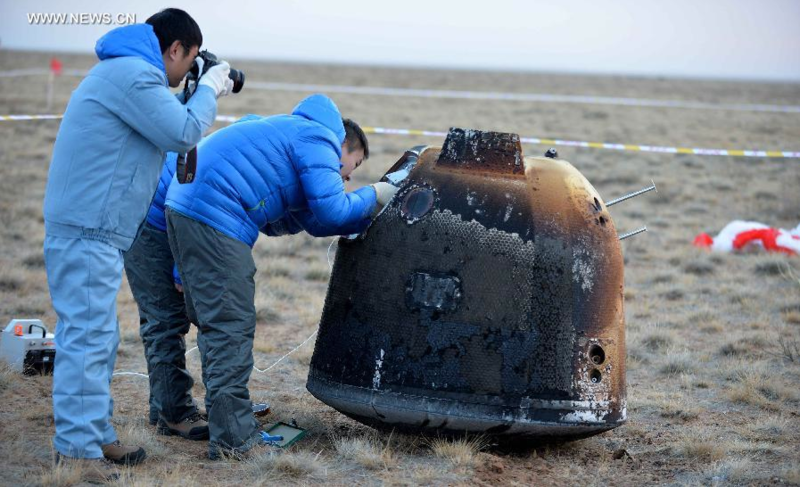 The landing occurred around dawn Saturday, local time, and the return capsule appeared intact but charred from the heat of re-entry. The landing vehicle was expected to perform a “skip re-entry” during its descent, using two dips into the atmosphere to dissipate its 25,000 mph return velocity before deploying parachutes for the last phase of the landing sequence. 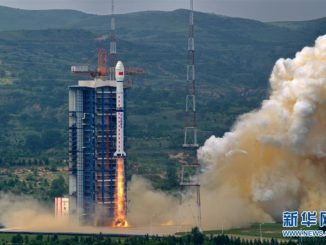 The mission — nicknamed Xiaofei, or “little flyer” on Chinese social media networks — launched Oct. 23 from the Xichang space center aboard a Long March 3C rocket. Traveling 840,000 kilometers — about 520,000 miles — on the round-trip journey, the spacecraft flew around the far side of the moon and returned a dramatic view of Earth and moon perched in the blackness of space. On the mission’s return leg, the landing capsule separated from a mothership craft for the plunge back into Earth’s atmosphere. About the size of a washing machine, the landing craft lowered into the atmosphere twice, bouncing back into space and skipping like a rock across water before falling to Earth. Such skip re-entry maneuvers can diminish the speed and reduce the heat encountered by a spacecraft streaking back to Earth. The flight around the moon paved the way for the planned Chang’e 5 probe to launch in 2017 and return bits of lunar rock and soil to Earth. 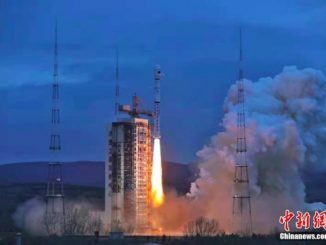 Unofficially called Chang’e 5 T1, the test flight validated heat shield technology, trajectory design, and recovery procedures for the sample return mission, a Chinese scientist said. The landing capsule’s host platform was expected to fire rocket thrusters after releasing the instrumented re-entry module to dodge Earth and head back out into space for continued operations. The mission carried a piggyback suitcase-sized instrument package on the Long March rocket’s upper stage made by LuxSpace, a company in Luxembourg that developed the secondary payload to honor the memory of Manfred Fuchs, a pioneer in Europe’s commercial space sector. Fuchs founded Bremen, Germany-based OHB — LuxSpace’s parent company — and grew it into a leading satellite and rocket contractor. He died in April. The payload package carries a radiation monitor and a radio beacon, and officials expected it to remain in an orbit stretching up to 250,000 miles from Earth aboard the Long March rocket stage. 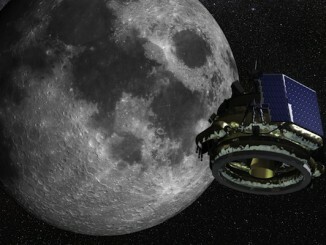 With Friday’s landing, China became the third country to achieve a round-trip flight around the moon. 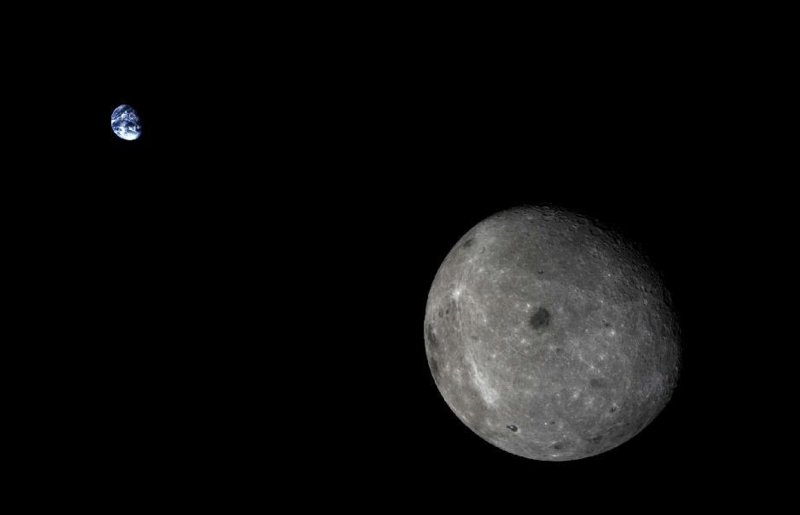 China launched two orbiters around the moon — Chang’e 1 and Chang’e 2 — in 2007 and 2010 to survey the lunar surface. The Chang’e 3 lunar probe landed Dec. 14, 2013, making China the third country to achieve a soft landing on the moon after the United States and the former Soviet Union. Chang’e 3 deployed a small rover named Yutu, which drove away from the mission’s stationary landing platform, collecting images, studying the composition of the moon’s soil and rocks, and probing the moon’s underground structure with a ground-penetrating radar. Chinese officials said Yutu suffered a glitch in a control system in January, rendering the rover immobile and exposed to cold temperatures during lunar nights, which last two weeks. Earlier this month, Xinhua reported the Yutu rover was losing functionality but still alive after nearly 10 months on the moon, surpassing the craft’s original design lifetime of three months. “Yutu has gone through freezing lunar nights under abnormal status, and its functions are gradually degrading,” said Yu Dengyun, chief designer of China’s lunar probe mission, in a report by Xinhua. “We hoped the moon rover would go farther, and we really want to find the true reason why it didn’t,” Yu told Xinhua in an interview. China developed a backup mission for the Chang’e 3 lunar lander. The backup spacecraft, named Chang’e 4, will now help prove systems required for the more ambitious Chang’e 5 mission, Xinhua reported. Details on the specific objectives and planned launch date for Chang’e 4 have not been released by China. The Chang’e 5 mission will follow with launch in 2017 to collect 2 kilograms — about 4.4 pounds — of soil from beneath the moon’s surface and return it to Earth, Wu Weiren, chief designer of China’s lunar exploration program, told the Xinhua news agency. “Aside from the high-speed re-entry, major technological challenges for the craft center on surface sampling, taking off from the moon, and lunar orbit rendezvous, Wu said,” Xinhua reported. China also has plans for a Chang’e 6 sample return mission some time before 2020. China is studying sending astronauts on lunar missions after scouting the moon with robotic spacecraft, according to official media reports. Near-term plans for China’s human space program are focused on constructing a space station in low Earth orbit.